These days, the helmets can also be customized to match the unique preferences of welders who like their helmets to express their style. While these helmets are crucial for the safety and good workmanship, people often wonder how do the auto-darkening helmets work. It is important to know how these helmets work so that the welders know how to use the helmets properly and they can also get the helmets repaired as needed. Knowing all the features and operations of the welding helmet is also essential if you want to make use of all the features of the helmet. And above all, when you know how the welding helmet works, you can make the best use of the helmet for all your welding needs. Let’s take a look at some of the features you should look for in an auto-darkening welding helmet. Quick Reaction Time – The reaction time refers to the time it takes for the helmet to go from light to dark on detection of arc flash. A good helmet should have at least 1/10,000 (.0001) second reaction time, and there are high- end models that have even quicker reaction time measuring in milliseconds. Lightweight – If you are planning to weld for long hours every day, the weight of the helmet matters. A lightweight helmet will also allow you to move freely and reduce stress on your neck and shoulders. Adjustable Settings – A good helmet should have adjustable settings for delay and sensitivity. Depending on the brightness of the arc that you are working with, you need to adjust the delay and sensitivity accordingly for the ideal protection from the harmful effects of the arc. Size of the Lens – The standard size of the lens is 2”x4”, and it is ideal for regular welding jobs. But if you are welding in a unique environment or on a different type of metal, you need to get a lens size that will allow you to best do your job with ease. The Number of Arc Sensors – Arc sensors save your vision from the bright light of the arc by darkening the helmet’s lens as soon as the arc is detected. For regular use in an open environment a helmet with two sensors should suffice, but if you are working in a cramped environment or unnatural conditions, it is best to invest in a helmet that has more than two sensors. Knowing the different components of your helmet is essential for making the best use of the device for welding jobs. Let’s take a quick look at the different components of an auto-darkening welding helmet. Lens – The lens of an auto-darkening welding helmet is made of different lenses that are layered upon each other. These layers of ADF (Auto Darkening Filter) consists of UV/IR filter, polarizers, and LCDs. The lens detects the arc and gets dark in the fraction of a second to prevent the eyes of the user from the harmful effects of the arc. Sensitivity and Delay Controls – There are two types of controls in auto-darkening helmets, digital and analog. While analog controls allow the user to change the settings by feel, digital controls give a must better view of the settings that a person wants to choose. Sensors – The sensors are a crucial part of a helmet as they darken the lens as soon as they detect an arc light. Most helmets have two sensors, but high-end helmets have four sensors that offer a quicker response when it comes to arc detection. Batteries – Auto-darkening helmets use an array of power options that include solar, lithium batteries or a combination of two. The batteries keep the sensors active, and users can buy a helmet with replaceable or fixed batteries. If the batteries are low, users will see an alert, and they should replace the batteries immediately before using the helmet. An auto-darkening helmet uses advanced technology to ensure the helmet lens darkens as soon as it detects the arc. The different layers of the lens work together to filter out the harmful UV/IR rays and also prevent the harsh arc light from reaching the user’s eyes. The sensitivity and the delay of the lenses can be adjusted depending on the welding job and the helmet’s sensors work in all kinds of conditions to ensure a quick response when they detect the presence of the arc. Modern auto-darkening helmets have power sources in the form of batteries and some models also add solar panels along with the batteries. While the batteries last for a long time, they need to be replaced eventually and one should take notice of any alerts or alarms from the helmet to prompt battery change. The advantage of using auto-darkening helmets is that they help to improve the productivity of the welders as they don’t have to take off the helmet and put it back on when it is time to weld. 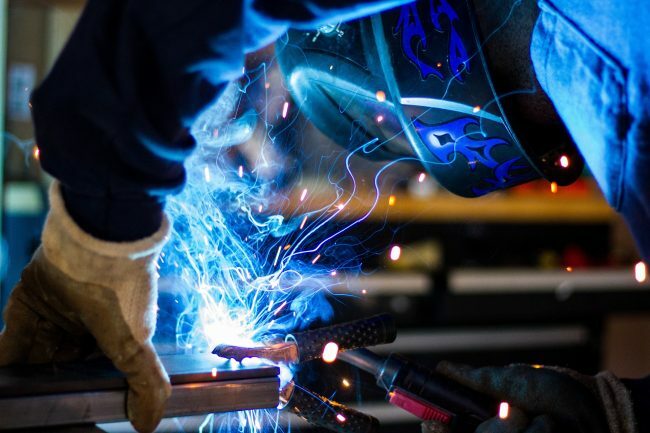 It is crucial to follow safety procedures when welding and you need to be cautious about the use of your auto-darkening welding helmet as well. Here are some of the safety pointers you can follow. Check the Safety Standards – A helmet should meet the safety standards set by the governing bodies in your country. Different regions have different safety requirements, and you should know the standards your helmet is expected to meet. Check the Shade – Depending on the kind of welding you plan to do; you need to choose the right shade of helmet to meet your needs. Check the Batteries – Make sure that there is enough charge in the batteries and if you have not used the helmet in some time, make sure you replace or charge the batteries. Examine the Lens – The lens is a crucial part of the auto-darkening helmet. The lens should be clean, and there should not be any cracks or blemishes in the lens. Check for Wearer’s Comfort – Wear the helmet before working and check if it fits properly and it won’t fall off or become loose while working. Clean Your Work Area – Welding is a difficult job, and if the area you are welding in is dirty, your job becomes even more difficult. Clean the area near you and remove anything that might interfere with the welding job. 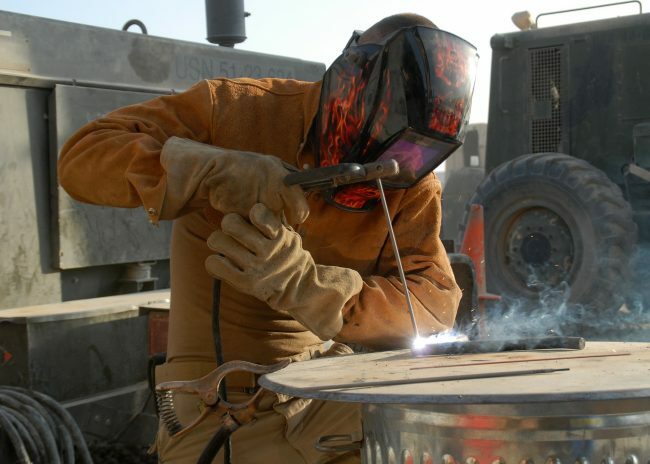 If there are other welders in the area, maintain your distance while welding so that there are no accidents. An auto-darkening welding helmet is a great addition to any welder’s workflow, and it can also increase a welder’s productivity and add to his safety on the job. Before buying a welding helmet, one should know the basics of how a helmet works and which features are the most essential in a helmet. By knowing the details about the working of a welding helmet, you will be able to make a better decision about the helmet you want to buy. Further along the line, you can also make an informed decision about the repairs for the helmet if you know about the components of the helmet and their functions. We hope this article has helped you in understanding more about how auto-darkening helmets work. For more information, please browse through this website. For any questions or queries, feel free to leave a comment below this article.